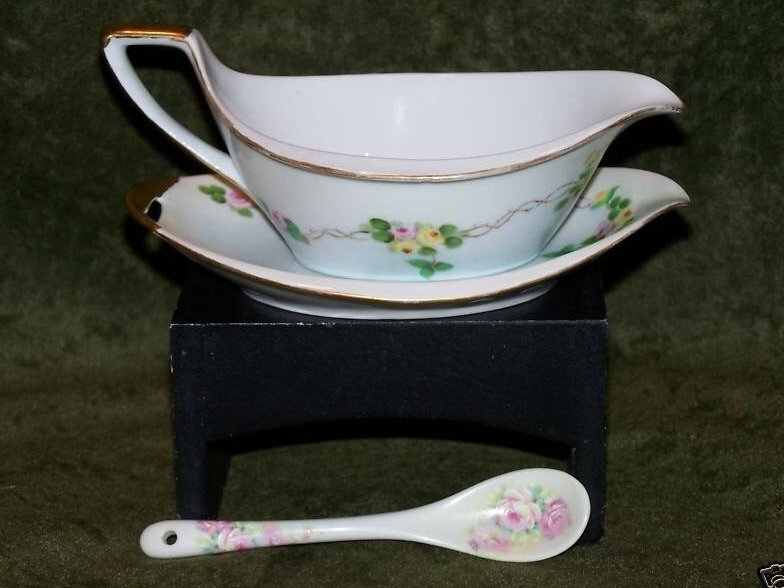 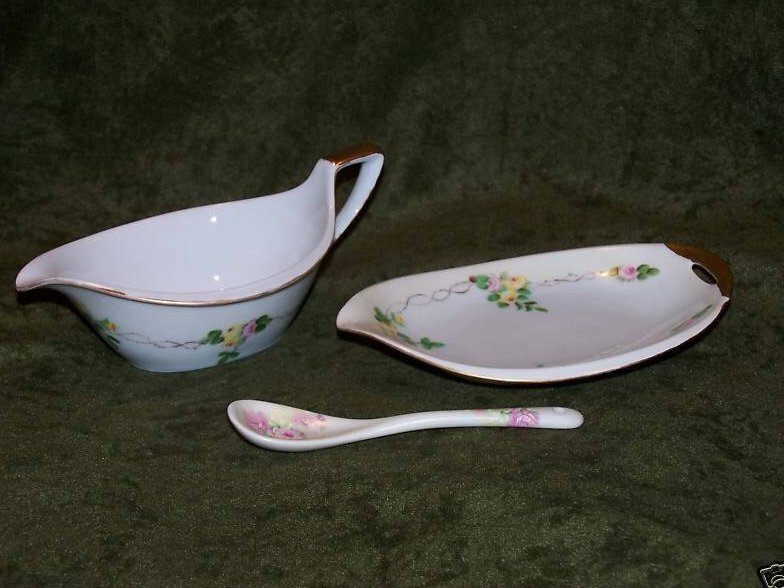 The perfect complement for your table, this gravy boat and saucer set will add grace and charm through the elegance of the fine craftsmanship of Porzellanfabrik Moschendor. 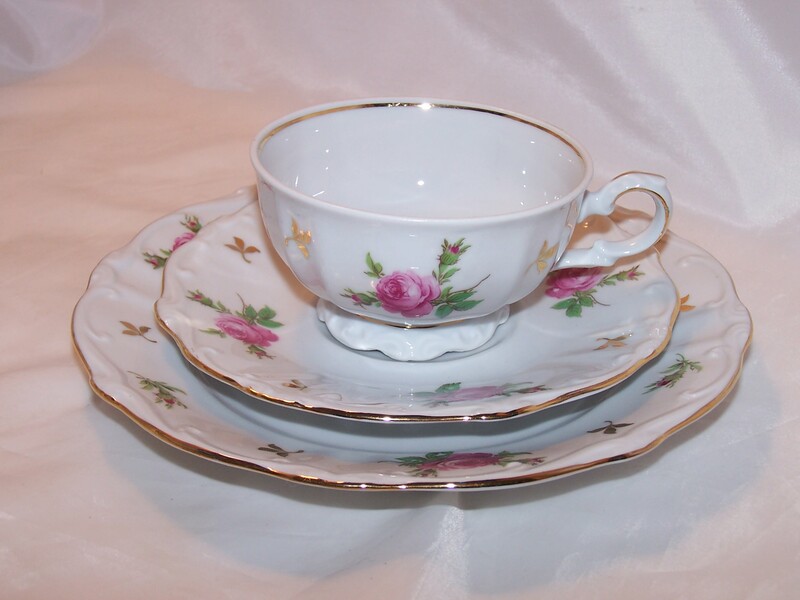 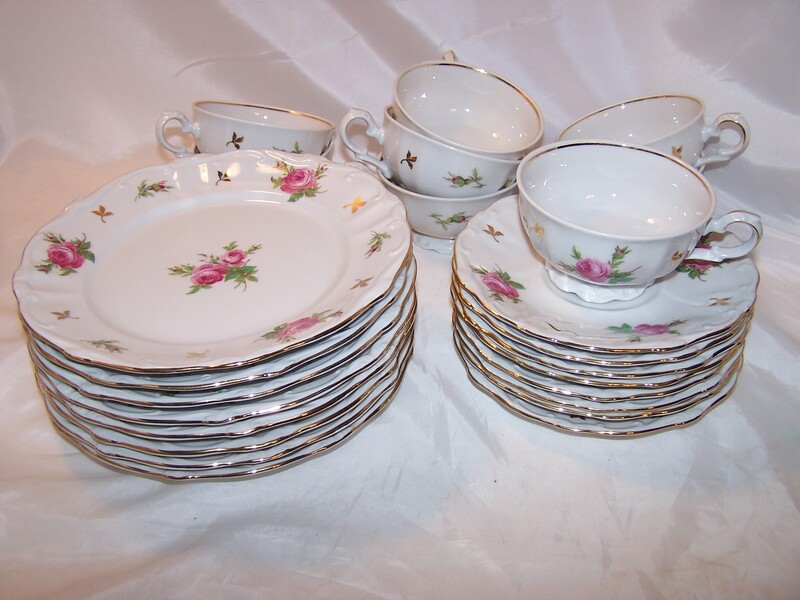 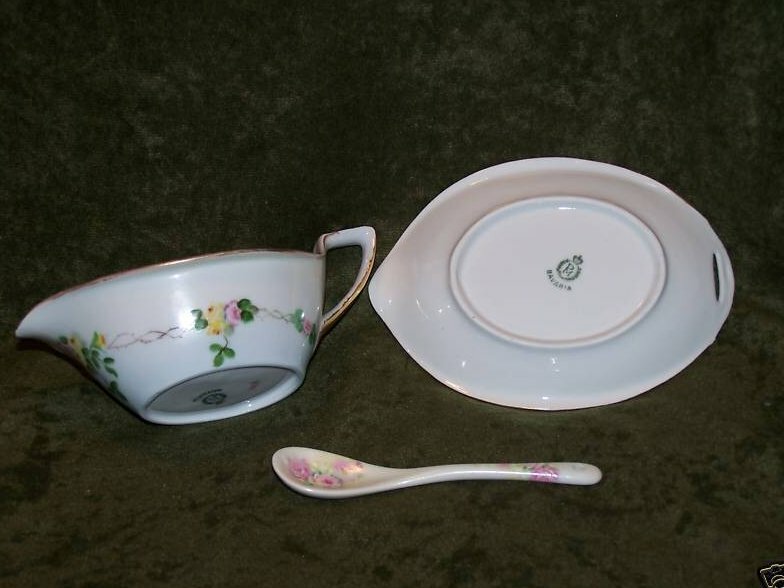 In the business of producing fine dinnerware and gift ware from 1895 through 1937, PM created a wide assortment of highly collectible items. 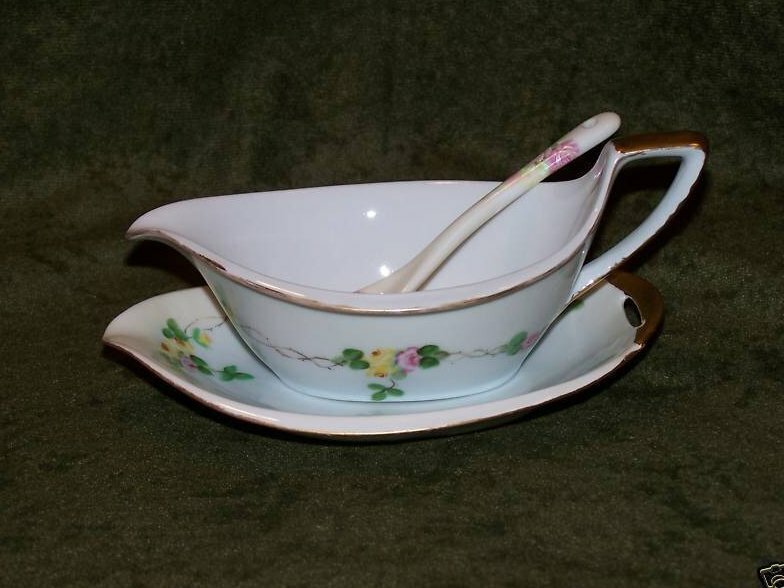 Judging by the mark stamped on the bottom, this piece was produced sometime between 1904 and 1937. 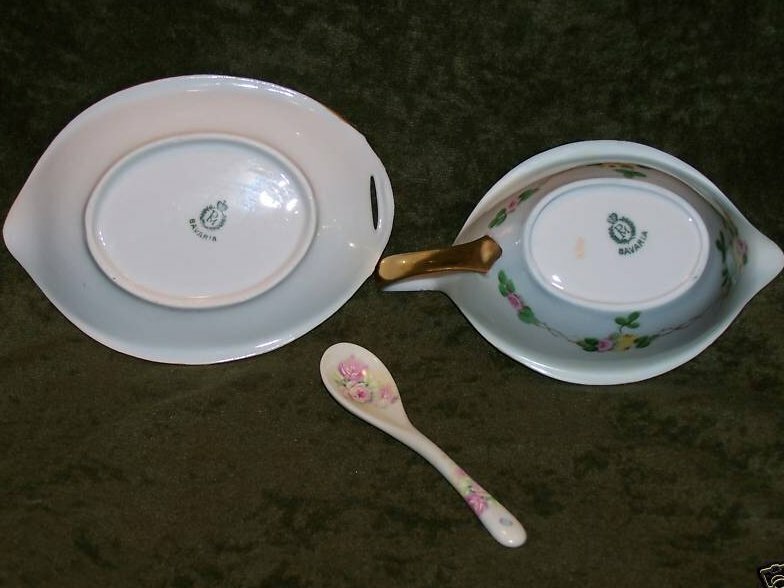 A spoon has been included with this set, although it does not have any identifying marks and it is unknown if it is a piece from PM.